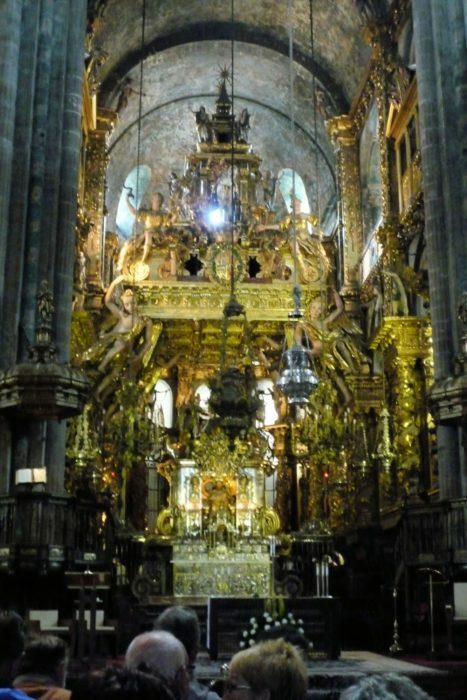 The Camino Mozárabe is a 1500km pilgrimage route from the Mediterranean port of Almería to the Tomb of Saint James in Santiago de Compostela and onwards to Finisterre on Galicia’s Atlantic coast. Bloo Anderson makes a unique journey through a land charged with daily discoveries and insights into its historic past. 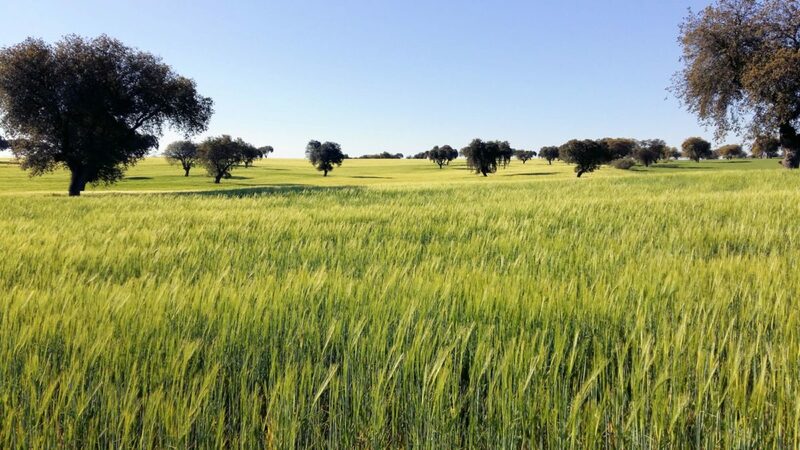 Established around the 11th century by Christians (Mozárabs) living in Al-Andalus under Moorish rule, the quiet country paths and droving trails stretch across the whole of Spain and have existed since prehistoric times. 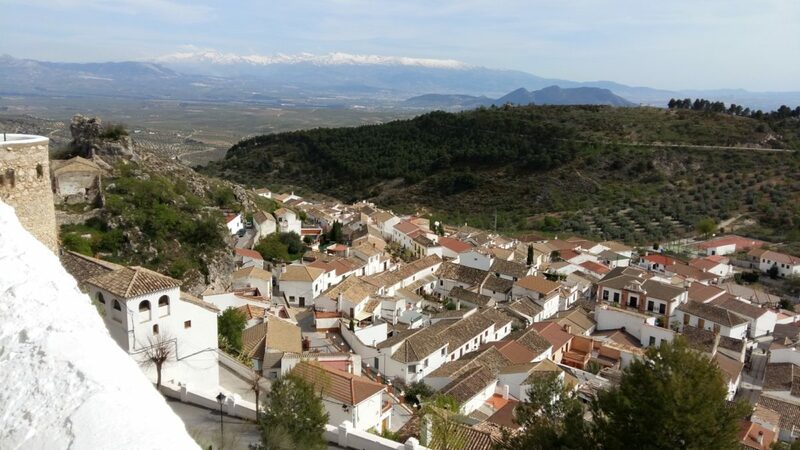 Despite routing along the Sierra Nevada and crossing the Sierra Morena from Córdoba to Mérida, the highest elevation is only 4800ft, near Granada. 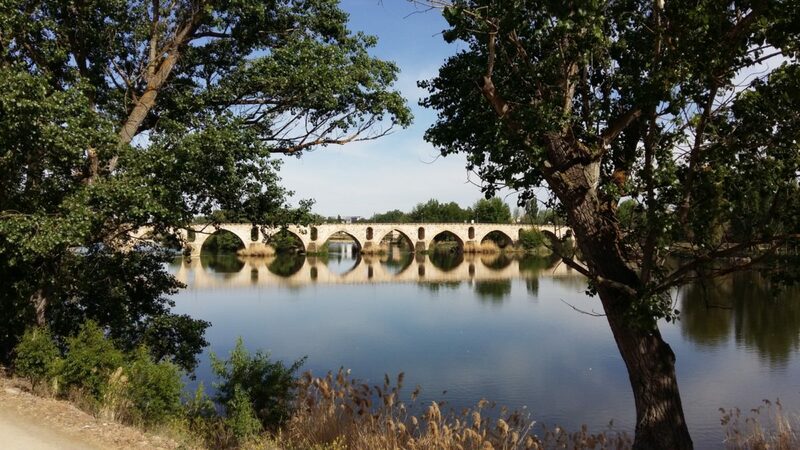 Additionally, much of the route is gently undulating from where it joins the Via de la Plata and other better-known pilgrimage routes heading northwards out of Andalucía. 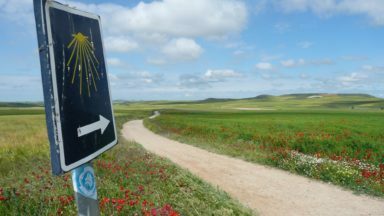 There are at least two score Caminos or pilgrimage routes converging at Santiago from across wider Europe, the best-known being Camino Francés in Spain, which attracted almost 250,000 travellers last year. 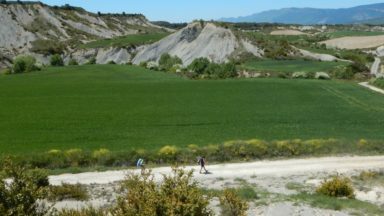 By contrast, fewer than 300 walkers used the Camino Mozárabe from Almería in 2016 but numbers are increasing. In 2017, I spent two months exploring the mountains, inner high plateau and river valleys of this largely agrarian country. If that sounds daunting, I should add that the organisations responsible for maintaining these ancient paths have done an outstanding job of waymarking. Yellow arrows or custom-made signs have made it virtually impossible to get lost (or even mildly geographically embarrassed) while traversing this huge, beautiful landscape. 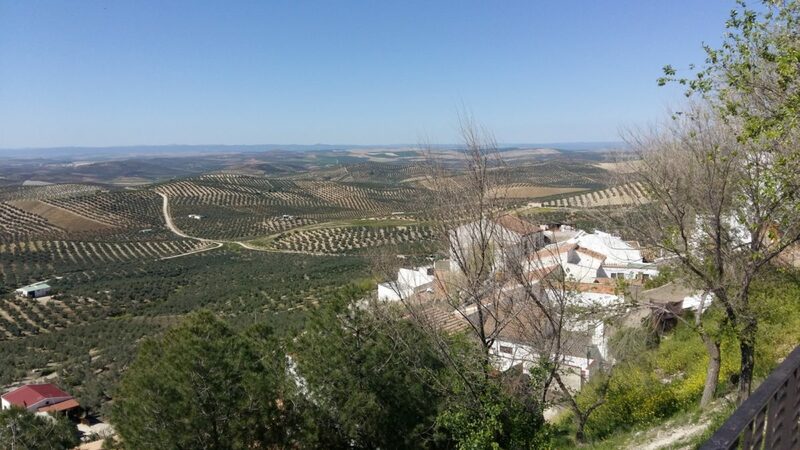 Spanish support for Mozárabe walkers (or bikers) is outstanding and includes a network of cheap accommodation, which is relatively inexpensive and incredibly good value for money. These range from bunk rooms with hot showers, supplied by religious organisations or local town councils, to government-supplied hostels or private albergues. 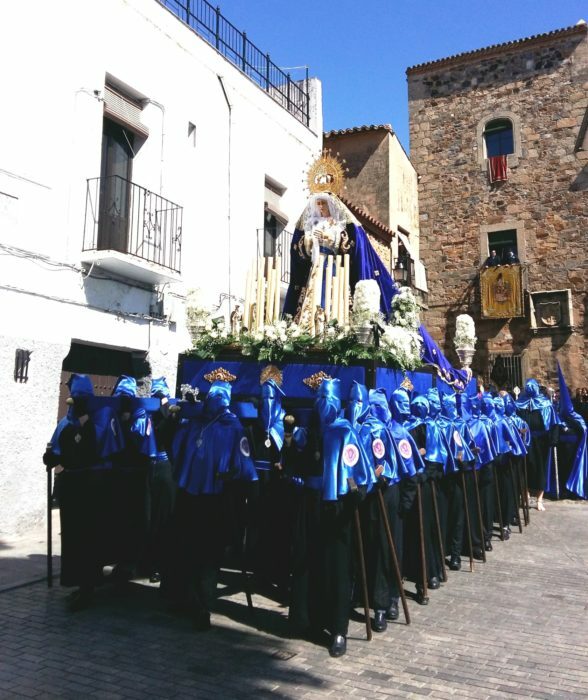 Many lodgings provide cooking facilities, while many bars and restaurants provide a menú del día, a three-course meal with some wine or coffee, for 8 to 10 Euros. This support enables the walker to travel light and, with a relatively rare maximum of around 35 to 40km between overnight stops, daily distances are very easily achieved. The June 2018 version of the Spanish Mozárabe Guide, with maps and accommodation, from Almería to Mérida can be found here. My earlier expeditions to Southern Spain didn’t prepare me for the joys of these very ancient and less-travelled tracks. Despite the vastness of this country, there is always a hamlet, village or town nearby, and time travel is possible whenever you’re immersed in this country, which was shaped by many diverse cultures. 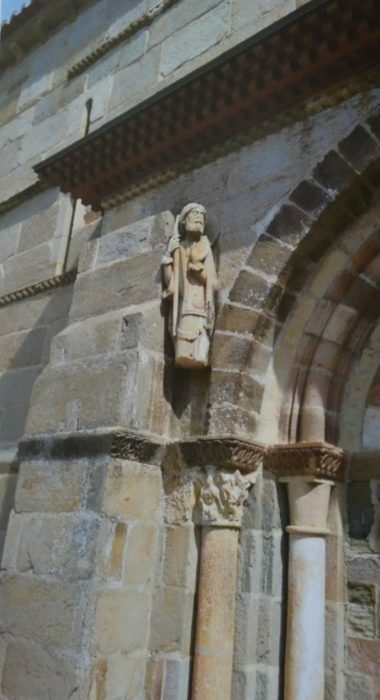 The Roman, Visigothic, Moorish and medieval influences in local architectures are the more visible clues to the past. 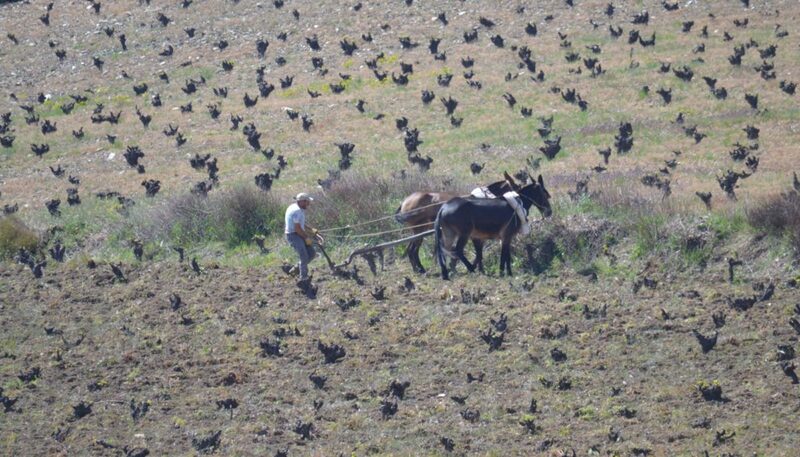 Other signs include the ancient and widespread dehesa (the agro/ecological system festooned with oaks, pastures and crops, which cover over three million hectares across Andalucía and Extremadura); the world’s ancient and unique cork production system (still harvested by hand today); the Roman and Moorish water irrigation channels (acequia), still in use; places like the nondescript, crop-covered Plain of Munda (south of Córdoba), where Julius Caesar destroyed the last of Pompey’s armies in 45BC and set in motion events that would result in his assassination a year later and the ultimate formation of the Roman Empire. 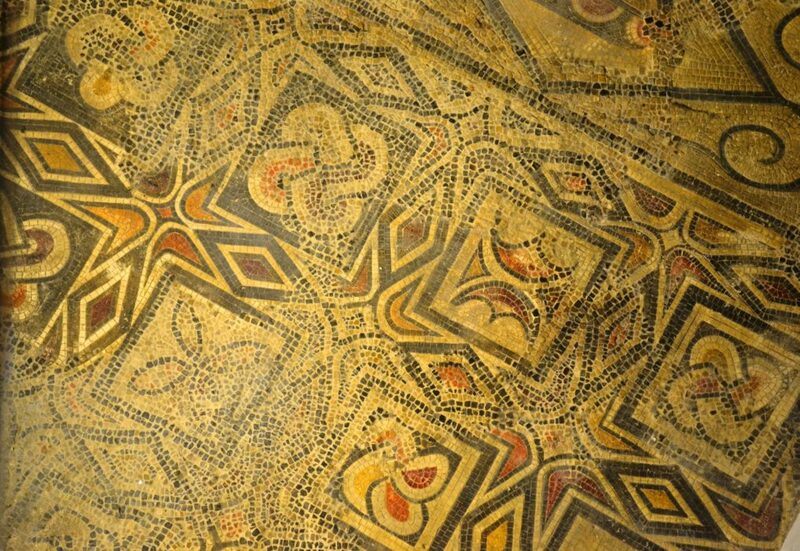 In human terms, the Camino Mozárabe is a mere infant compared with Almería’s 64,000-year-old cave paintings at Cartagena, or the pictures from the ancient civilisation in Sierra de Maria-Los Velez from 18,000 years ago. 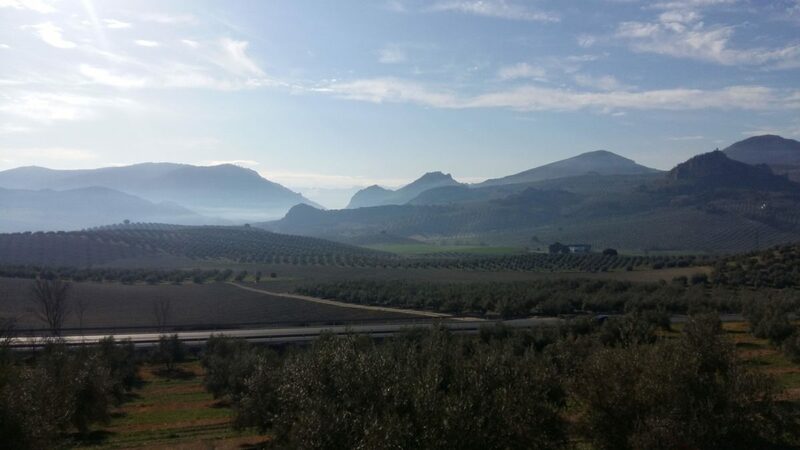 Mines in Andalucía were used from before Phoenician times and produced vast quantities of silver at the time of the Punic Wars. At the start of the Camino in Almería and just 1000 years old, is the second-largest Moorish fort in Iberia, the Alcazaba. 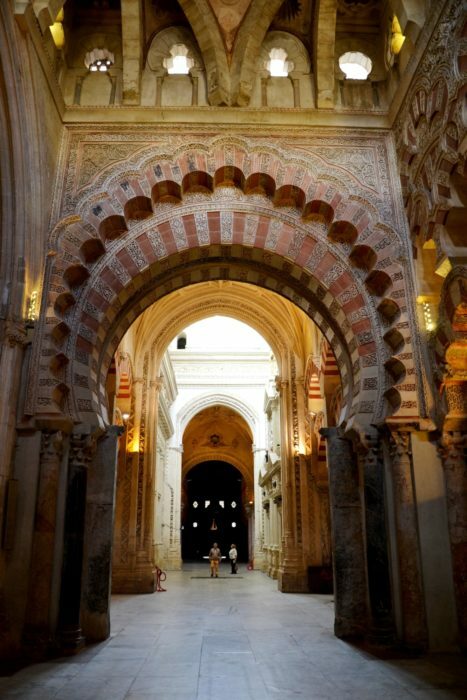 Added to in subsequent centuries by both Muslim and Christian rulers, the Citadel housed a royal palace, and like Córdoba, its mosque was converted into a church in the 14th century. 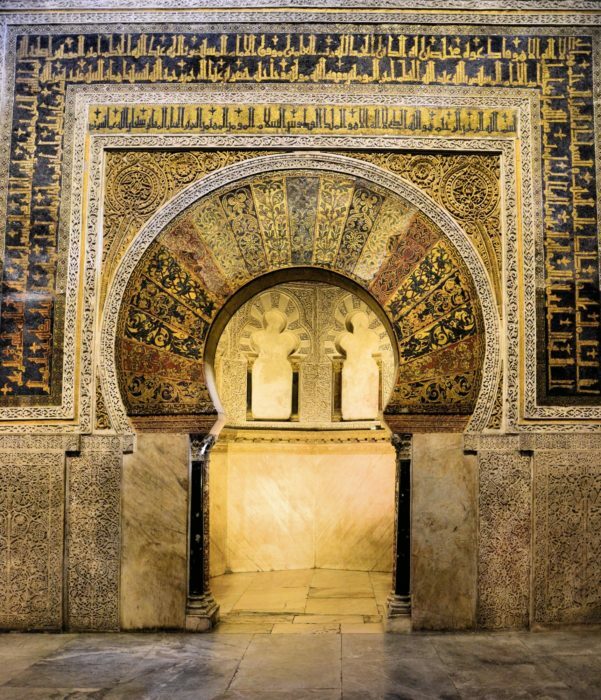 The classic horseshoe arch of Muslim architecture is still evident throughout this and many buildings of Moorish heritage in Iberia today. 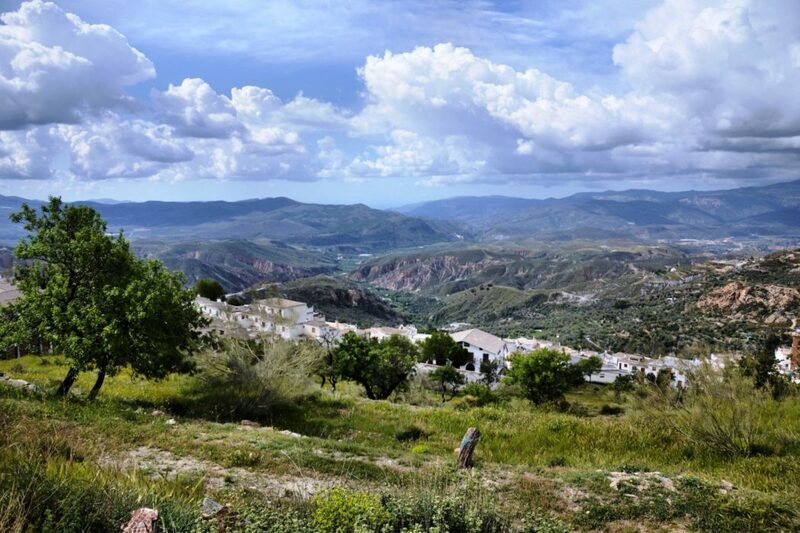 Leaving the coast and Almería behind, the Camino climbs slowly via dried river beds (ramblas) into the foothills through small towns and villages, which become the famous Pueblos Blancos of Moroccan heritage in the Sierra Nevada. 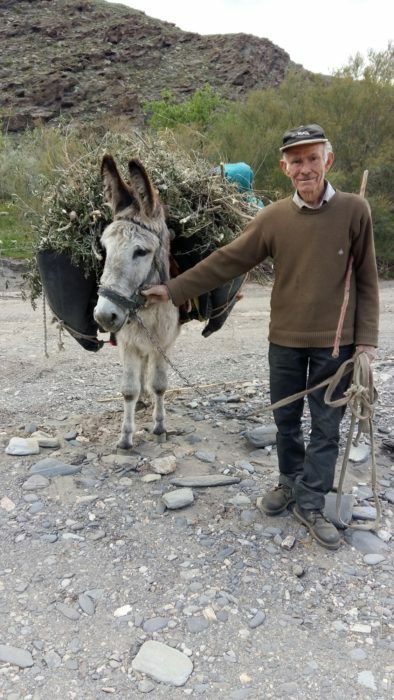 Straight away there is a transition to the delights of country life in Andalucía. Acres of widely grown fruits, crops and vegetation; unusual wildlife such as lynx, wild boar and even (if you’re lucky) wolves; incredible arrays of wild flowers in meadows spanning mountains and plains; exposure to the normally dry and sunny vernal or autumnal climate; new vistas of snow-covered mountains with deep ravines (barrancos) hidden in shadows. And everything is peppered with a limitless palette of greens and browns, yellow ochres, greys, sands and reds, all under a normally cerulean blue sky where the Imperial Eagles, Black Vultures and storks fly. 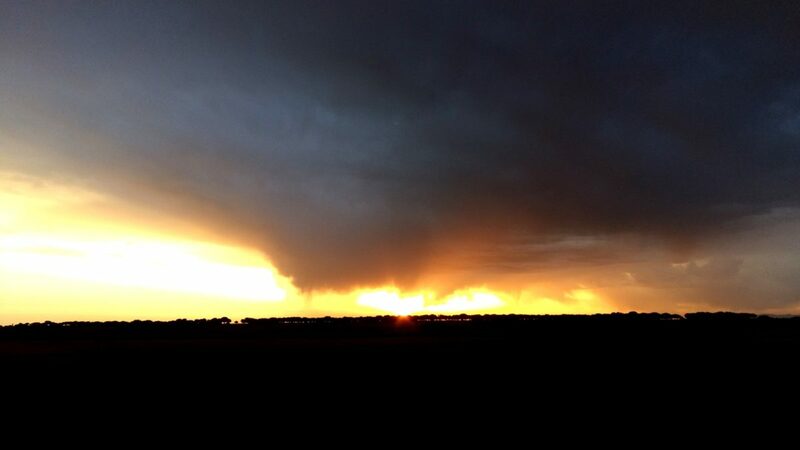 This special light in Spain changes everything; day or night. The Mozárabe is a westward trek, so the sun rises from behind and sets in front as we make our way into wind across the high plateau and mountain ranges. At night the dearth of big cities means light pollution is at an absolute minimum and views of the stars, planets and Milky Way are spectacular. The ancients’ east/west compass of Orion, Polaris defining north, and Great Bear telling the time, make rough navigation or just stargazing a delight. 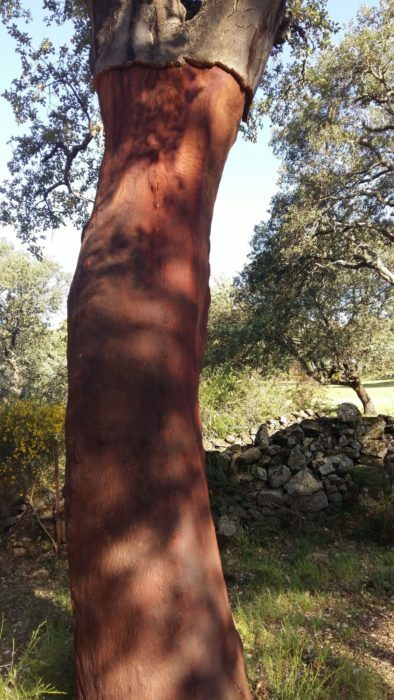 After six Caminos, my favourite time in Spain is spring when the abundance of blossom and emerging crops turn each new view into a patchwork of colours and textures; feasts for the eyes and soul. 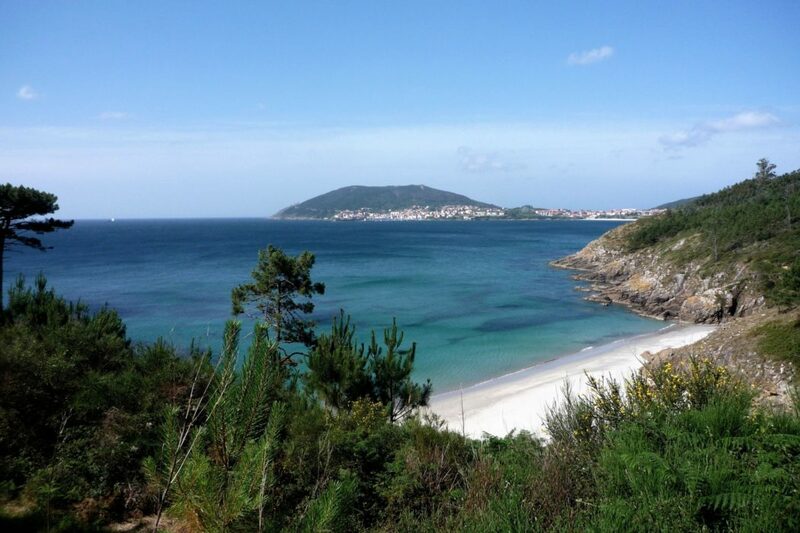 Without too much prior training, I achieved trail fitness simply by walking the Camino each day. Sunrise in April/May at Mozárabe latitudes is relatively late, meaning that a full day’s daylight was about as much walking as I wanted. Soon, however, I could outwalk the daylight, so longer distances (with frequent sight-seeing) required starts well before dawn. I never walked late into the evening because, not knowing exactly where I would stop, I discovered that finding accommodation or food was occasionally a problem. 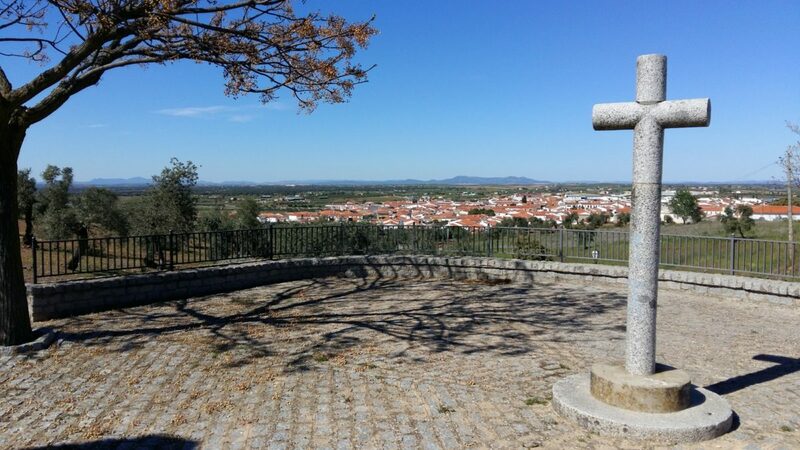 The Mozárabe, as far as Mérida anyway, is a quiet, solitary walk with facilities available almost everywhere, but it’s best if hostaleros know of arrivals in advance. Occasionally, when I ran out of energy, time, daylight or ideas, I slept on church floors, in cloisters, in a nunnery, in sports centres, in a town hall and even in a disused sheep shed. The many acts of kindness from strangers in providing a bed or even food were humbling. 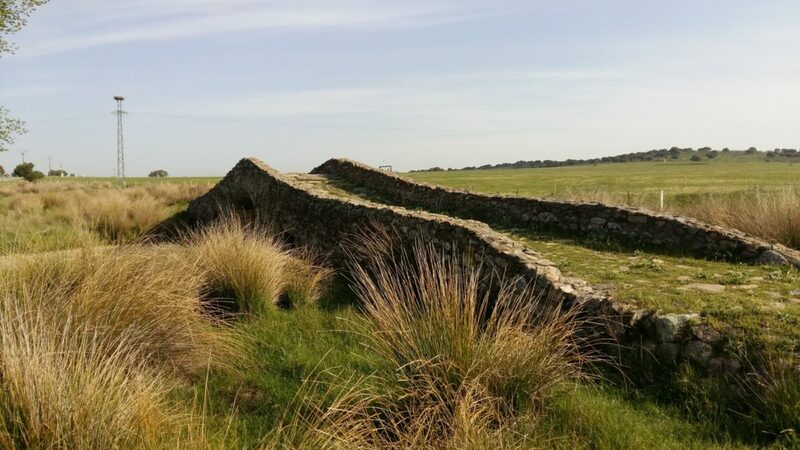 According to Spanish Authorities, 50 per cent of pilgrims/walkers on Camino are Spanish, while the remainder use English as either a native language or a lingua franca. 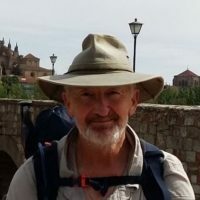 This can be good news for the busier Caminos in the north of Spain where a large support structure has evolved to cater for non-Spanish speakers; however, in Southern Andalucía, where the average hiker is solo and local knowledge of English is patchy, at least rudimentary knowledge of Castilian Spanish is essential to ask for help. It was impractical to carry 1500km-worth of hardcopy maps, so I used phone apps that not only covered the route but enabled position and direction-finding. Small-scale physical maps were for planning daily distances, while the GPS with complete maps of the Iberian Peninsula were backup but never needed. 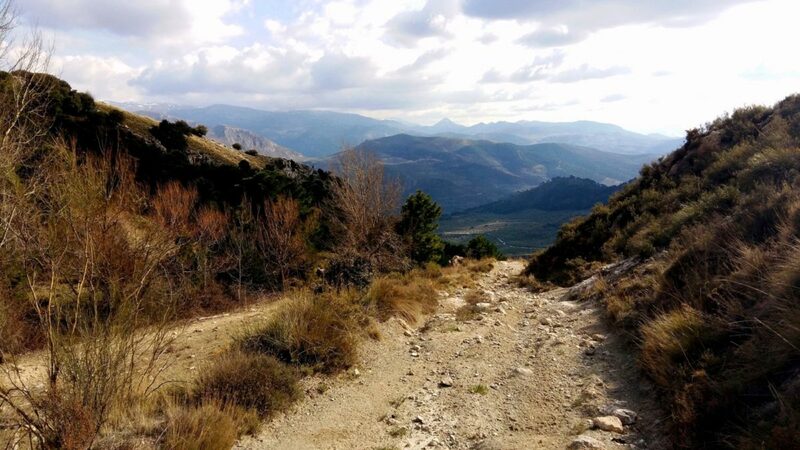 There are many apps available for hiking routes in Spain, including one that alerts nominated parties if movement has stopped for too long. Despite using these, a conventional compass was invaluable, particularly in (rare) severe weather in the mountains. There are no difficult climbs on this route, but some can be relatively steep, up and down, and most walking is on reasonably graded tracks. There is an amount of road walking, but this is minimal. 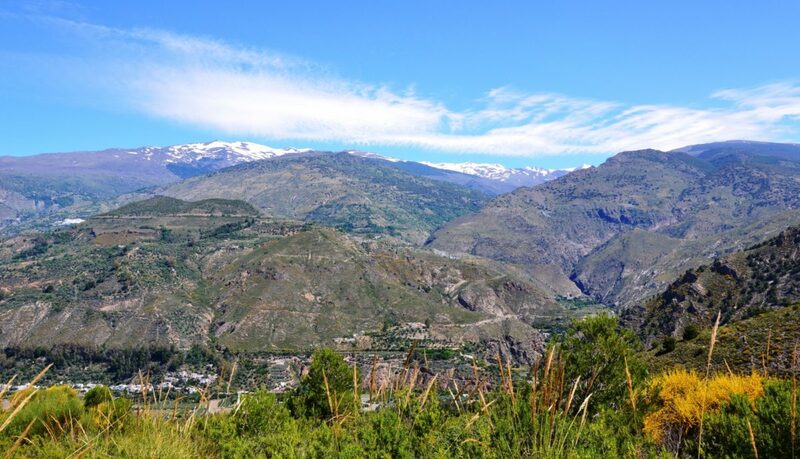 The highest point on Mozárabe is 1465m at Spain’s biggest talc quarry on the Sierra Nevada, near Granada. Approached with an amazingly picturesque climb, the trail eventually passes through some pine forest where resin is tapped for commercial purposes. 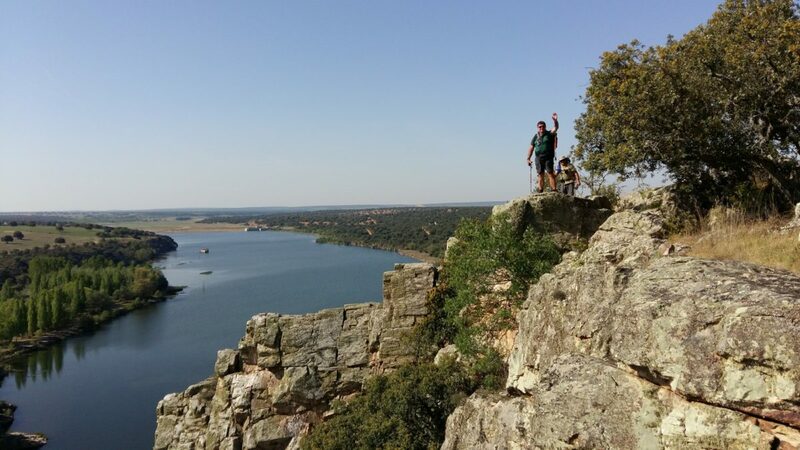 The descent (to Quéntar) by contrast, is relatively steep and rocky in places, and loses 550m in less than 6km. 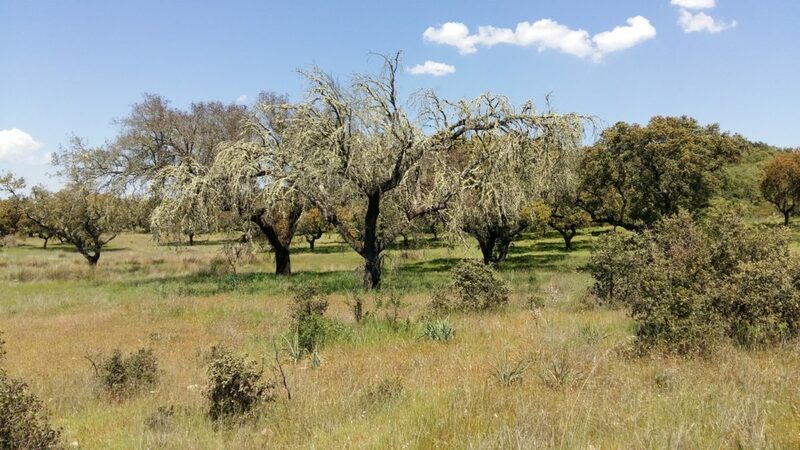 On the Via de la Plata, about 30km south of Salamanca, the highest point is 1147m at Pico de la Dueña. The windfarm on this high ground is visible for miles and is approached after a long, gentle climb from Fuenterroble de Salvatierre. 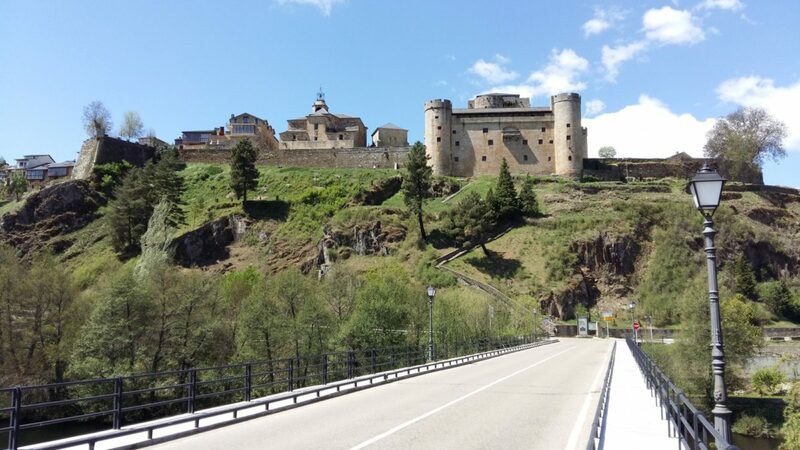 The maximum elevation in the Sanabrés Mountains is about 20km beyond Puerta de Sanabria and passing 1320m near Padornelo the climber is rewarded with a well-stocked village café that is open all year. 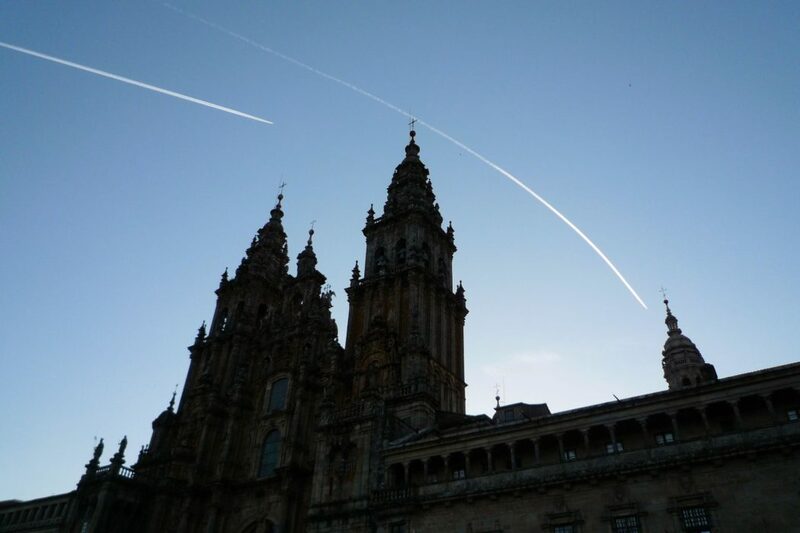 Arriving at Santiago de Compostela and walking into the pilgrims’ square directly in front of the cathedral’s 12th century portico produces a storm of emotions accompanied by a sense of achievement; but it’s not the end. 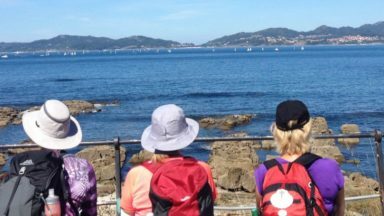 Not officially a Camino, the final stage of this journey routes to Finisterre, and is completed by only a small proportion of those who arrive to claim a Compostela. These last few days (95km) are perfect for reflection during the transition from mountains to ocean. 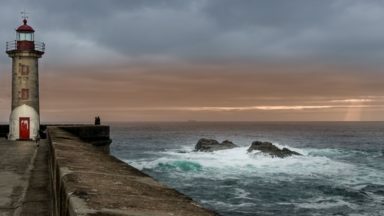 The final miles by the coast and along the beach to the town (Fisterre in Galician) are surely the most peaceful and beautiful, before a gentle climb to the lighthouse and the ‘Kilometre Zero’ Camino marker on the headland. 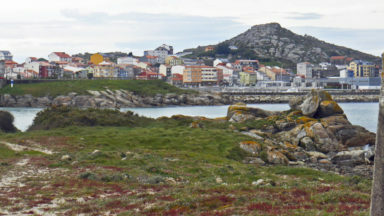 From the 5000-year-old Chalcolithic settlement of Los Millares in Almeria; past Spain’s first Renaissance castle at Calahorra; through the Phoenician silver mines of Sierra Morena; past the 19th century Cornish lead mines of Mina las Morras del Cuzna; skirting the Roman Prosperina reservoir or the classic Circus Romano of Mérida; following the miliario distance markers of the Via de la Plata used by Roman legionaries; passing beneath the walls of the 14th century castle of Puerta de Sanabria; viewing the beauty of the oldest-known sculpture of Santiago at Santa Marta de Tera; to Spain’s most famous Gothic cathedral at Santiago. 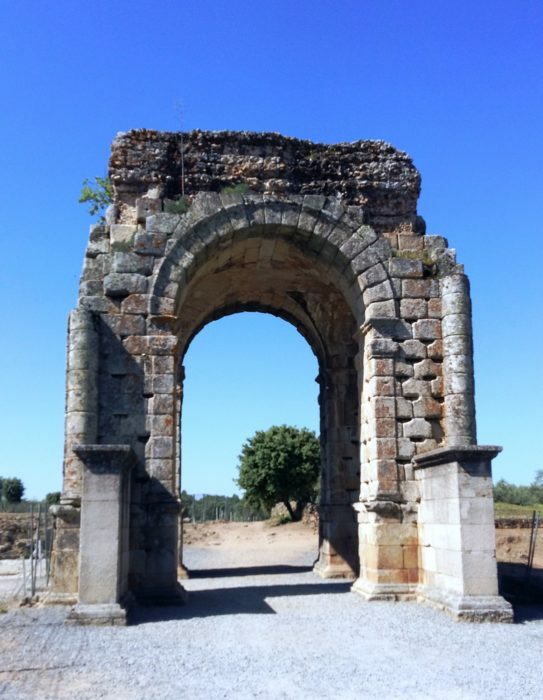 Finishing this journey along prehistoric Iberian trails is time travel, indeed. 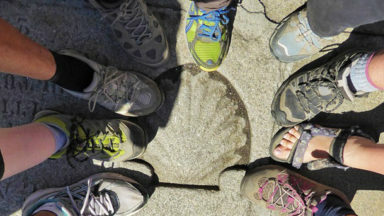 Discovering the joy of long-distance pilgrimage walking and why one camino is never enough.